On the eve of the first anniversary of the Coravin, founder Greg Lambrecht is both better and worse off than he had ever dared to hope. On one hand, Coravin is being touted as a “disturbance in the wine world” – a game-changing gadget. And on the other, Coravin has just been through its first very public failure. 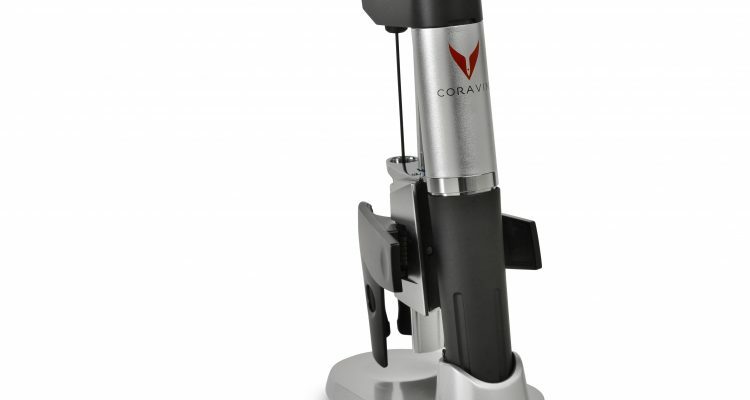 For those who don’t follow wine news as avidly as I do, Coravin is a way to get wine out of your bottle – without uncorking it. 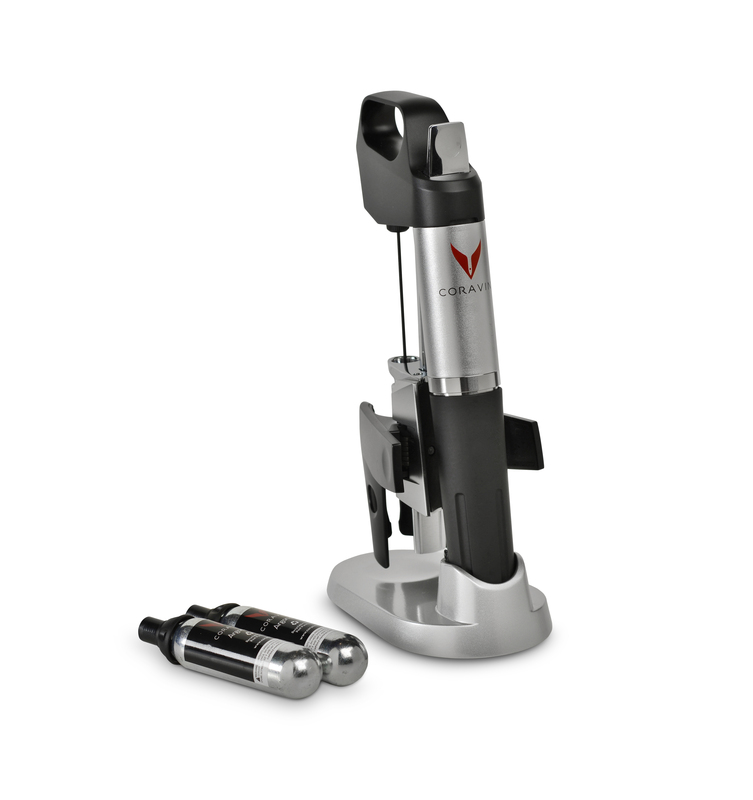 The mechanism is a medical-grade needle that pierces a cork, pumps wine – a taste, a glass or more – out of a bottle, and replaces the space with the inert, heavy gas argon. When the needle is withdrawn, the cork’s natural elasticity closes up the hole. Presto: the wine is still sealed with its original cork. Until the next time you want a taste. Lambrecht says you can repeat the process until the bottle is empty (though you might as well pull the cork when you get down to a glass or so). And you can do this over the course of days, weeks, months, even years. He has done this with his own wines for up to five years. 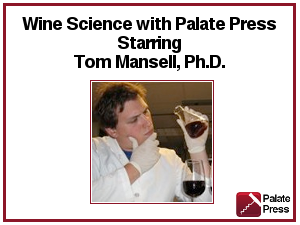 And he has repeated successful tests on various wines, months apart, with sommeliers and producers, too. Of course the wine must be continually stored under proper conditions, laid on its side in cool and humid storage. So it was all over the wine news when, a few months ago, some wine bottles shattered when the Coravin was used on them. While I was preparing to meet Lambrecht at his Massachusetts offices, I was going to ask him: What were you thinking, unleashing this dangerous machine on the fine wine world? But instead of turning up dozens of angry wine collectors, my research showed that it looked like the problem had disappeared. Proactively, Coravin sent out neoprene sleeves to all the purchasers of the product they could track down. The sleeves are to be placed on wine bottles while the Coravin is being used. Luckily, the company was able to source neoprene wine sleeves already in production (made to carry and/or keep wine bottles cool). So in the midst of great sales, the downside was the great number of sales: they had to find the 50,000-70,000 worldwide purchasers of Coravins — about 40,000 in the US. Lambrecht had been about to take off on a triumphant sales tour when all this happened. He came back and re-tested the Coravin. The needles are made in New England, the argon is from Austria, and the apparatus itself is assembled in China – from the same producer that makes the Keurig coffee machines. As a result of his testing and research, Lambrecht believes that the wine bottles that shattered were compromised before the Coravin came into play. 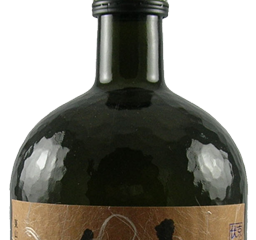 The bottles may have had flaws in their production or been knocked around just enough to weaken the glass, so they broke when the pressure inside was changed because some wine was removed. According to Lambrecht, Coravin only creates a pressure of 1-1/2 atmospheres, and a standard wine bottle is made to be safe up to 10 atmospheres. He claims that bottle makers don’t give out the information on bottle tolerances but he’s gotten it anecdotally from wine producers. Asked if he’s found any problems with wines in these trials, Curtis said that there had been a few wines whose development proceeded faster than he thought, but that proved to be the result of human error: if you don’t purge the Coravin’s needle before inserting it into the cork, you can accidentally insert a small amount of oxygen into the wine bottle, which would accelerate aging. Lambrecht was also careful to mention that it’s important to purge all the wine out of the needle and clean it with hot water before re-inserting it into a bottle. He showed me how to press the trigger with short bursts, first to clear it, then to reload the argon. So Coravin’s fortunes are rising again, this season. Lambrecht mentioned he has continued to receive support from the wine industry, for a number of reasons. 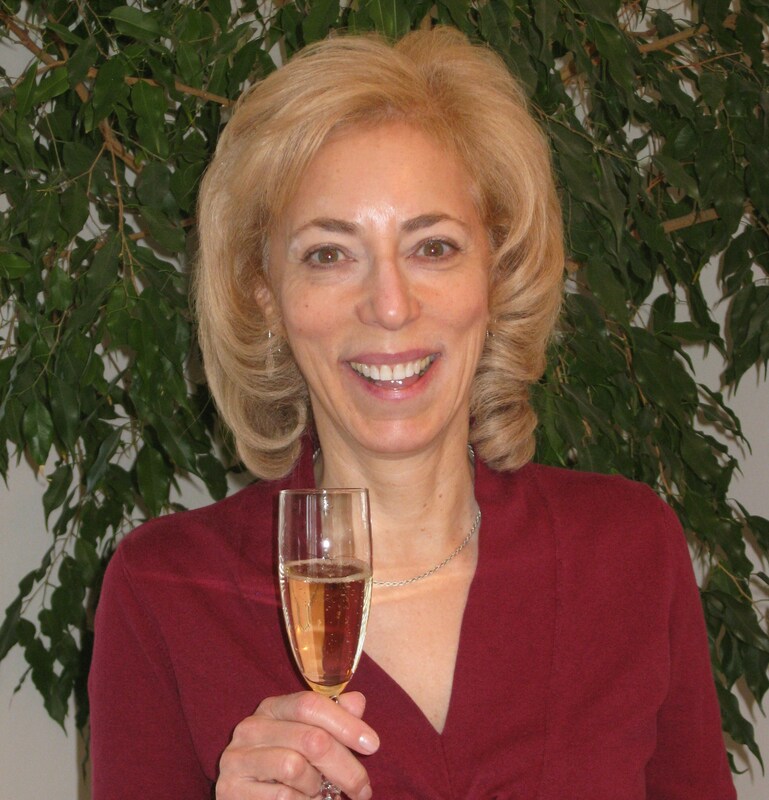 Producers like the freedom of sampling their wines without using up a whole bottle. And wine salespeople don’t have to jettison so many sample bottles at the end of each day because they can be re-tapped for many tastings. Is New Zealand the world’s most sustainable wine producing country? Very neat product – and some of the minor issues seem to be solved with the sleeves. They are paving the way of the potential of wine by the glass.